It has been nearly eight months since I’ve last set foot in Orvieto – a really, really, really long time in my book. Each and every visit back to Italy has developed its own particular flavor and personality. 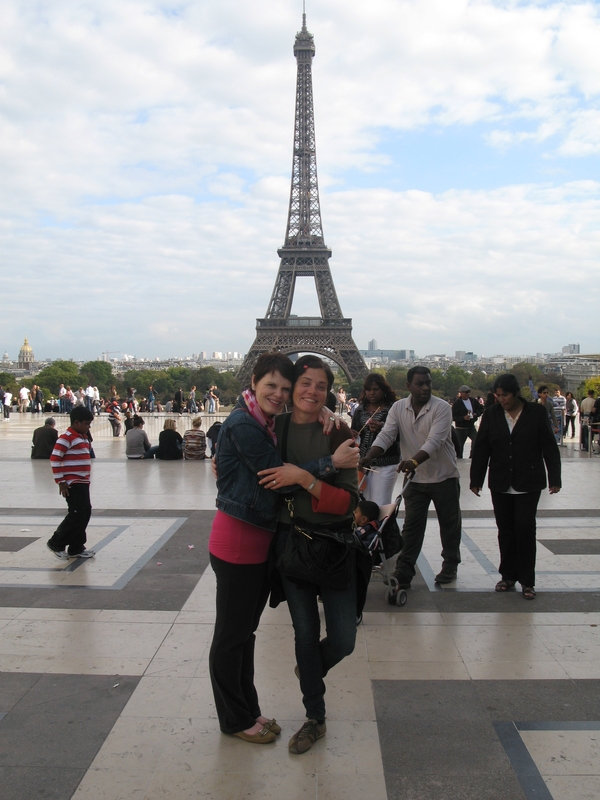 This trip took on a special “French twist” because it included a 4-day stopover in Paris. Paris: The City of Lights. The Eiffel Tower, Champs-Élysées, Arc de Triomphe, Notre Dame de Paris, Montmartre, Foie gras, French wine and the pièce de résistance, French pastries. I loved this city from the moment I arrived. Parisians are so sophisticated, elegant, romantic, chic, and super COOL. I wanted to be cool just like them so I decided to become French. 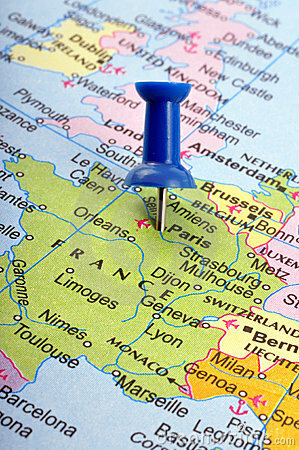 Becoming French is not something you can do overnight – it takes a lot of time and effort. I was fortunate enough to be traveling with my friend Manuela, staying with her friends, Christophe and Tiphaine, and hanging out with JC and Stephanie: all Frenchies to the hilt. I had round-the-clock exposure to daily life in France and am happy to pass along some of the secrets to be French that I learned. Introduction: Fake it ’till you make it. The first and most important thing you must do in order to become French is to stop being American immediately! You must hide all characteristics that would tip people off that you’re from the United States. (You know you’re making progress when someone accidentally mistakes you for a Canadian). It can be quite challenging, but if you put your mind to it I believe it can be achieved. By reading and following my step-by-step instructions, you too may be well on your way to becoming French, just like me! Step #1: Shut up about it. 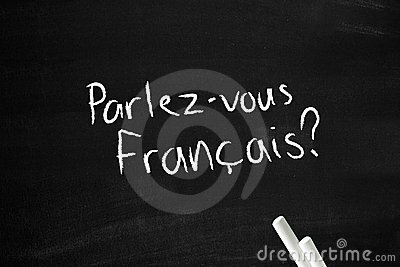 If you don’t speak French fluently then don’t speak at all. (For those of you who know me personally, that was the biggest challenge). If you want to buy something, just point at it and grunt. Even a simple “Merci” will give you away. Believe me, your rudimentary high school French isn’t going to help you here; you might as well write “ugly American” across your forehead in Chanel lipstick, for God’s sake. Greet properly. Never hug anyone! Hugging is a dead give away that you’re not from around here. Give two or three kisses on the cheek; never shake hands when introduced unless you’re in a business setting or meeting the President of France. Wear scarves, dress in all black and be short. I know smoking is detrimental to your health and makes your clothes and hair smell bad, but if you don’t smoke you’ll be left alone in the restaurant while everyone else is outside smoking cigarettes and laughing. You don’t want that! I’m proud to say that before coming to Paris I didn’t smoke at all and now I’m up to half a pack a day. In order to survive one must eat. 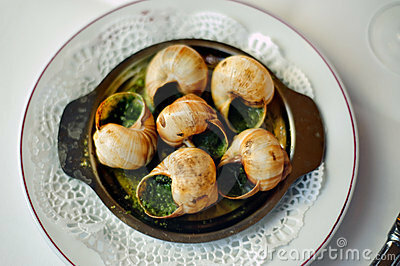 To be French means you will be consuming large amounts of animal organs and garden pests on a regular basis. If you can’t read a French menu, you’re likely to be served a dish that is made from lamb’s brains or its intestinal tract. Pouring ketchup over them to mask the flavor will only draw attention to your “Americanism” (See Introduction above). Thank goodness cheese and bread in France are second to none. Bon Appetite. Being the good friend that she is, Manuela could see I was struggling with my “Frenchness” so she enrolled me in an intensive, crash course entitled “How to Become a Parisian in One Hour?” (Some say this is a one-man comedy show, but whatever). The lesson is presented entirely in English because, if you speak the French, you don’t need this course – you’re probably already Parisian. The teacher/comedian, Olivier Giraud, teaches us how to be Parisian in a shop, restaurant, taxi, metro and even in bed! Just as Olivier promised, after the one-hour class/show I was hardly recognizable to my family and friends! I had actually become Parisian in just one hour! I still love Italy and will continue to live there. 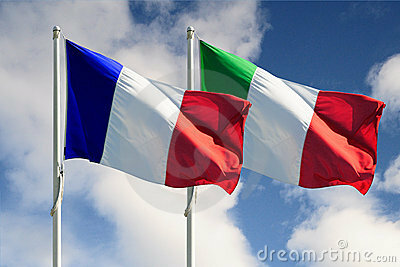 I have to admit that it can be very problematic being French and Italian at the same time. When I returned to Italy I was quite confused and disoriented. I forgot to speak louder in order to be heard over the yelling and I’ve caught myself more than once complaining about the perfect Italian weather. I’m so torn, conflicted and split over these two beautiful countries but I think I’ve come up with a solution to my dilemma: I will be “married” to one (Italy) and have a “love affair” with the other (France). Isn’t that so French of me? Toni, now you understand me. The conflicts of being French & Italian at the same time (besides being British and American) are exhausting, but enriching. I have long practiced being ‘married’ to Italy and having a ‘love affair’ with France, while managing to keep an ‘eccentric’ connection to England and a ‘nostalgic’ link with America. Yes, this is often debilitating and can lead to becoming a near recluse after many years of perfecting the exercise. Relish this variety at once. You shall see, in the end, that is was worth every bewildering instant. Hi Toni, “I would love”, to have a love affair with either country at the moment! !, stuck here in the UK. But, what did I say to you before you wen’t to Paris?,… “You Would Love It”……. No you said……… nothing compares to your little bit of heaven in Italy!! ( Orvieto). The people as you say are sooo chic, with an air of aristocrocy.– Aloaf, Arrogant even,but hey, it wouldn’t be Paris if they were any different, I’ll risk a little assignation with the country, (sorry Italia).I love my little! !, lago di Bolsena, but to stroll by the Sien, with a lovely Lady on ones arm, Ohh, sooo romantic,,,” Sorry fantisying again”.There are a few French Ladies living in Bolsena, they do stand out from the italian ladies, just that little err, more sofistication! !, But you now,us English guy’s have our moments, (well occasionally). So glad you enjoyed it though and so sorry to have missed you in Orvieto, maybe November?. Another great, humourous.blog thank you..
No, got it from the website of free images…I guess you get what you pay for? You meant “I miss Paris”. Wanaro Evernden it’s just a name on the blog to discuss tennis. Wanaro N’Godrella is french (black) player of 70’s. Kelly Evernden is new zeland player with one lung. It is not possible to become French. Your accent will not allow it. A few years ago I was on a bike tour in France, with a friend from Quebec. Of course he is a native “French” speaker (as well as fluent in German). On a deserted road In the mountains we found an elderly woman wandering down the road, so my friend Leslie went to the closest farmhouse and proceeded to explain the situation, to which the lady of the house replied ” thank you, but you really should stick with English”.